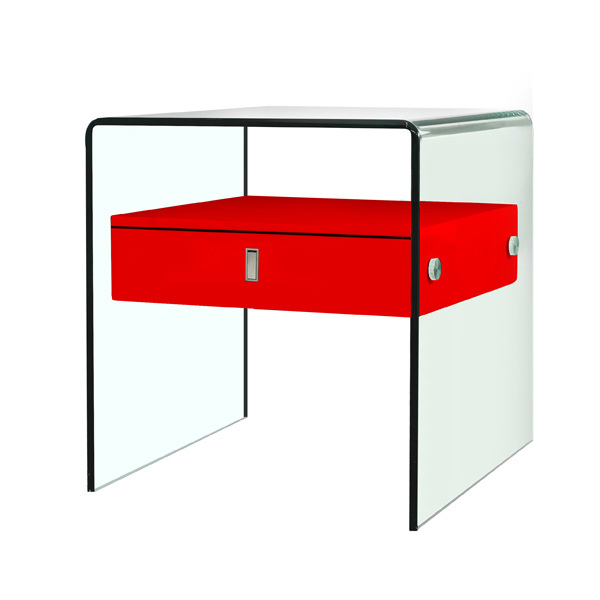 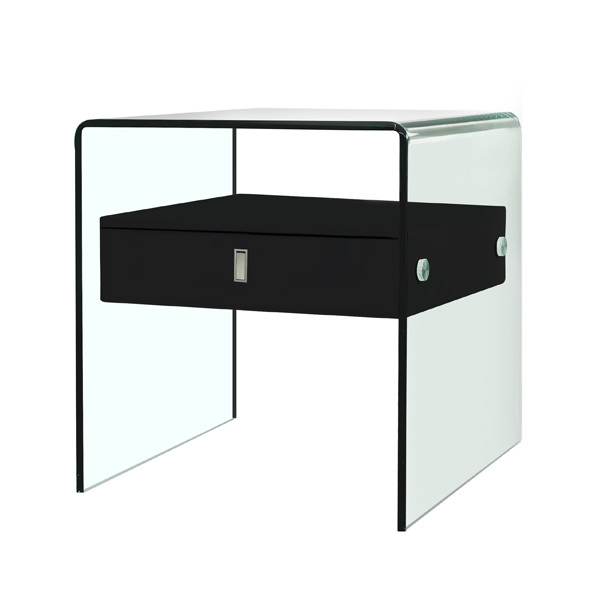 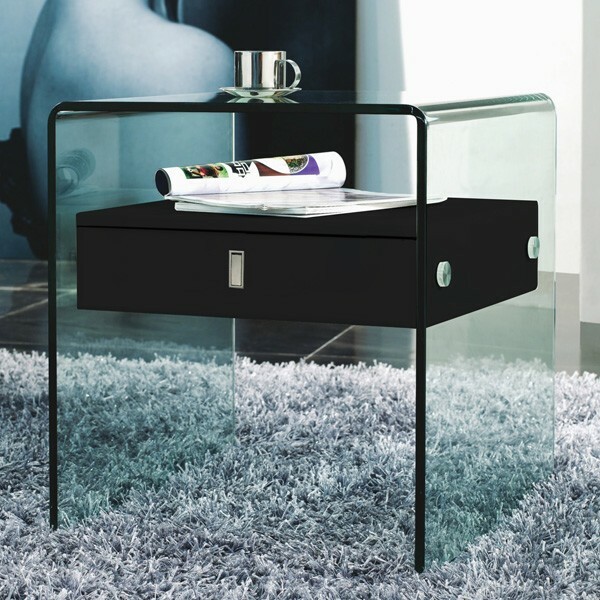 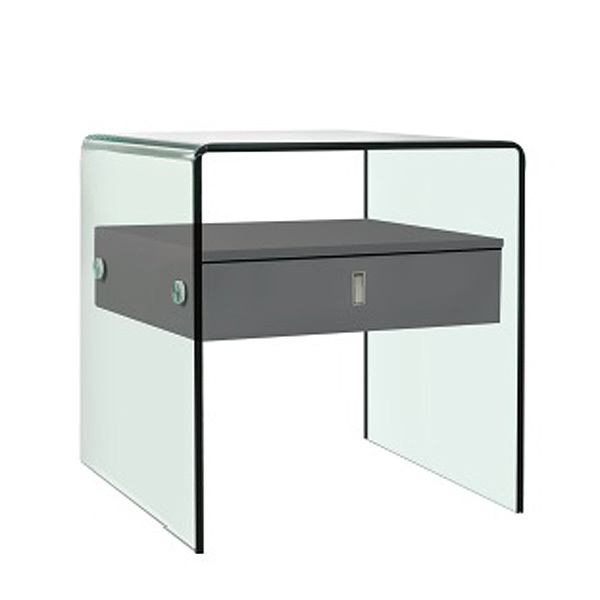 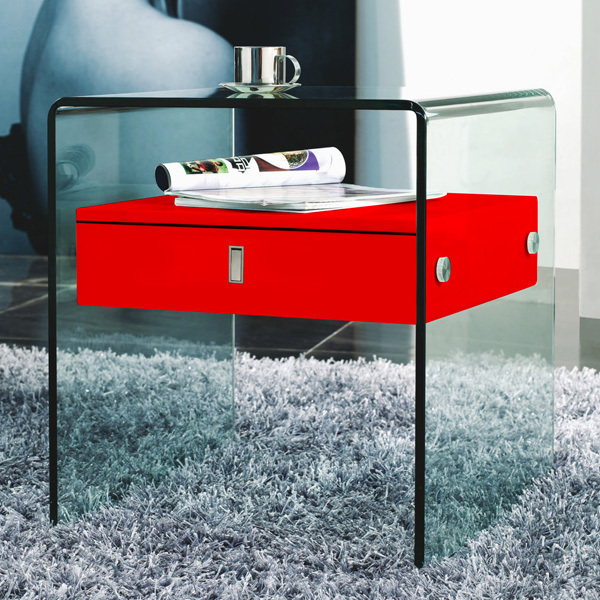 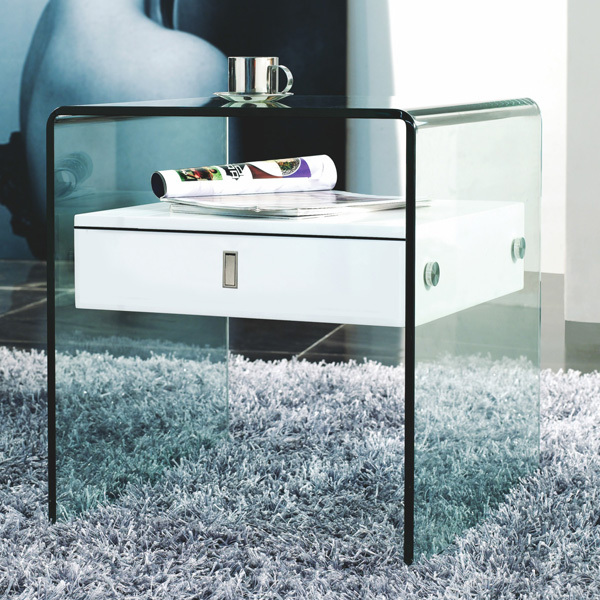 Bari is a end table or nightstand made from bent glass and with a glossy painted wooden drawer. 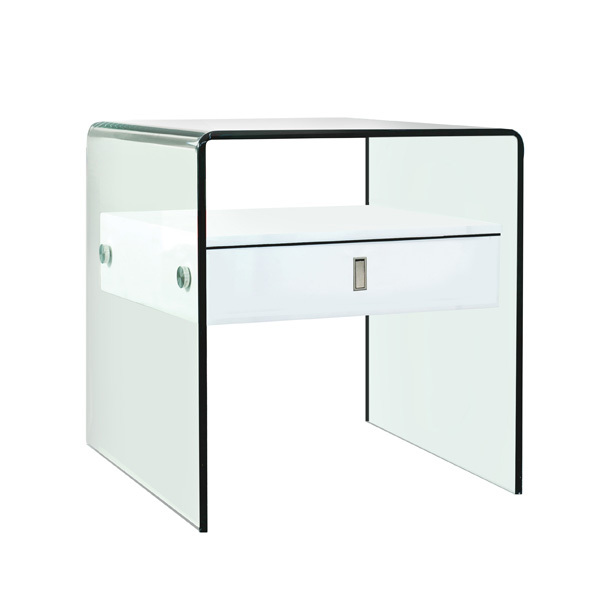 Perfect to use as a modern nightstand for the bedroom. 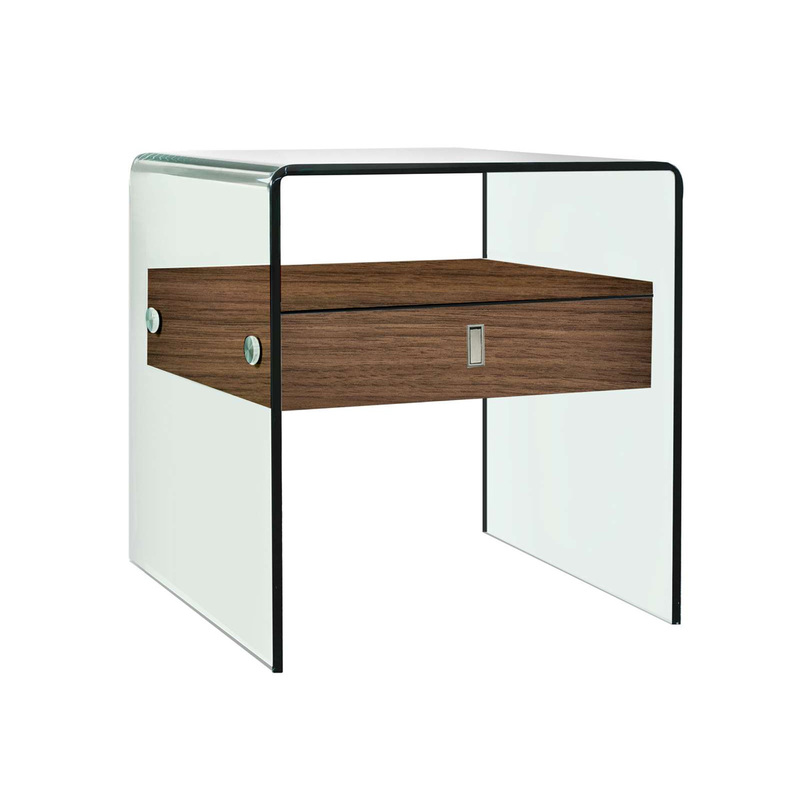 Now also available with a walnut drawer.